onboard Earth orbiting satellites. This contract will increase the performance and technology readiness level of the existing system (IDE8410 developed for ESA previously). The device will be a system-on-chip application specific integrated circuit (ASIC) that will dramatically reduce the mass of infrared imaging and spectroscopic instruments. The primary application will be on Earth observing satellites to monitor natural and man-made effects on the Earth environment. This technology will help to provide society with more precise data about greenhouse gases and surface temperatures globally. Current space-borne instruments weigh several 10kg and the electronics contributes substantially to the overall mass. Replacing several electronics boards with a system-on-chip reduces the mass and power consumption, lowering the cost for launch and operations. The integrated circuit will be designed and manufactured to withstand the radiation in space and to operate over large temperature range. Operation at cryogenic temperature will be possible and enable very sensitive hyper spectral cameras. Prototype chips are available for tests to interested users. Integrated Detector Electronics AS (IDEAS) is based in Oslo, Norway. 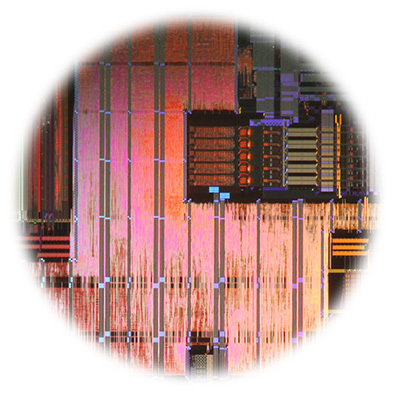 The company designs application specific integrated circuits (ASICs) and hybrid image sensor systems. IDEAS works with scientific organizations and business partners to innovate and create new products for applications in science, space, healthcare, security, and industry. IDEAS has developed intellectual property for radiation-hardened devices and their operation in extended temperature range. The IDEAS team consists of electronics and space engineers and physicists with 25 years in business.